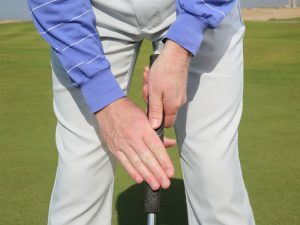 Bad putting often stems from bad posture. 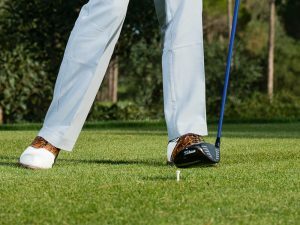 At address with the driver, your spine angle and sternum should dictate your movement, and it’s the same on the putting green as these photos with the alignment stick show. 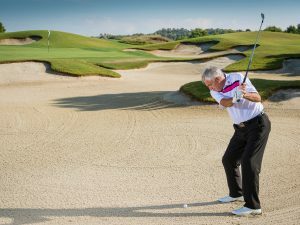 To drive well, you turn back and through; with a 5-iron, you’re bent over a little bit more at address because of the shorter shaft, but it’s still the same – the sternum dictates. 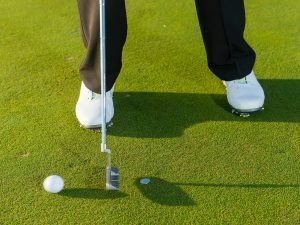 And when you’re bent over even more with the putter, it should still be the sternum that dictates. 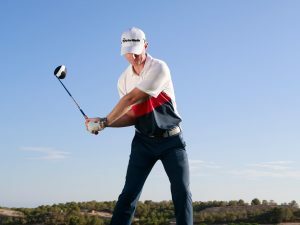 The movement should all come from the top half, so make sure there is no body movement other than a slight rocking of the shoulders. Many problems can arise if your posture is bad and you’re too hunched over at address. 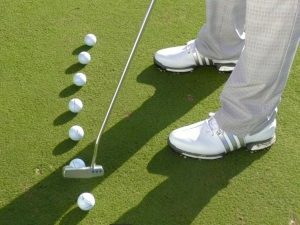 From that position, your turn is likely to be flatter and the hips will be turning too. 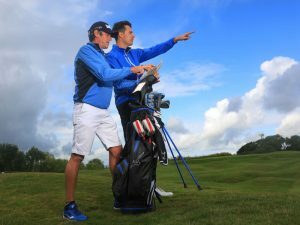 In short, bad posture leads to too much unwanted movement. 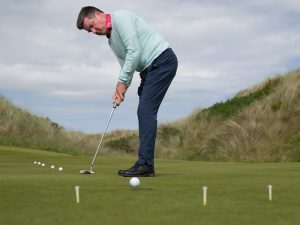 It’s so important to have the right posture on the green, so bend forward from the waist and ‘sit down’ a little bit with the knees, From this position you’ll be able to create the pendulum you need for a consistent, repeatable stroke. 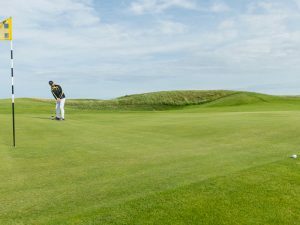 There’s no doubt that anxiety can come into the equation too on short putts. 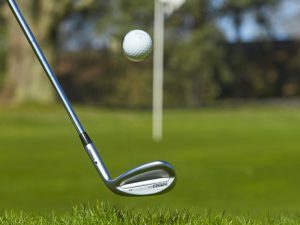 Tense muscles will cause you to lose feel, resulting in a jerky putting stroke. Try to remain relaxed and not let the situation get to you. 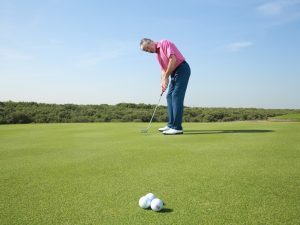 It may not always seem like it, especially if golf is your passion, but it really is only one short putt and not a matter of life and death! 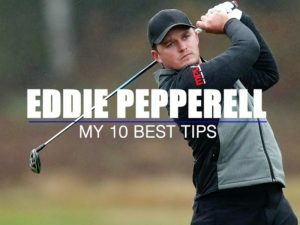 A great tip to make sure you’re not moving too much is to put your ball on top of a coin to encourage you to concentrate 100% on the spot where the ball is. 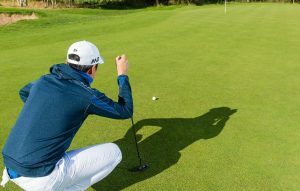 Keep your eyes fixed on the coin after the ball has gone – feel like they’re really burning into that coin still. 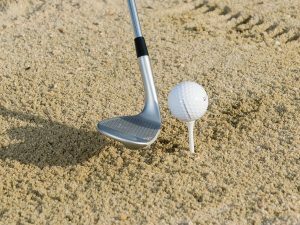 When you allow your eyes to go with the ball in your eagerness to see if you’ve made it, that’s when your shoulders turn too much and you end up pushing it wide. 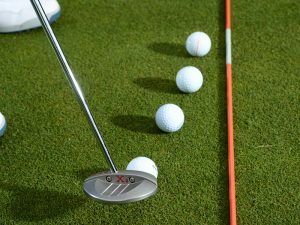 A great training drill on a short putt is to put two sticks or clubs down like a train track. 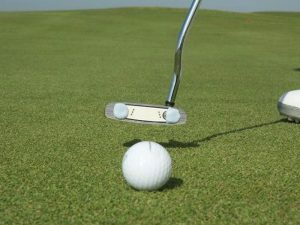 This will help you to see more clearly what your putter is doing as you take it back and through. 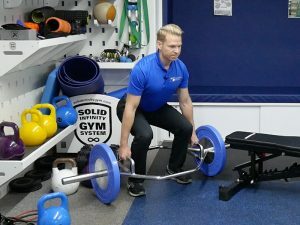 With good posture, everything works from the sternum, and you’ll more easily be able to groove the back-and-through pendulum stroke you’re looking for, with no lower-half movement. 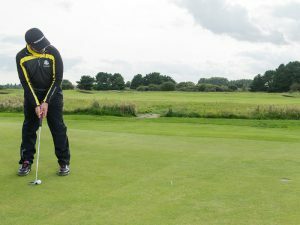 With the proper pendulum motion, your putter will just follow the train track; from an untidy posture, you’ll be encouraging the shoulders and the legs to move, with your putterhead then crossing the tracks rather than following them.